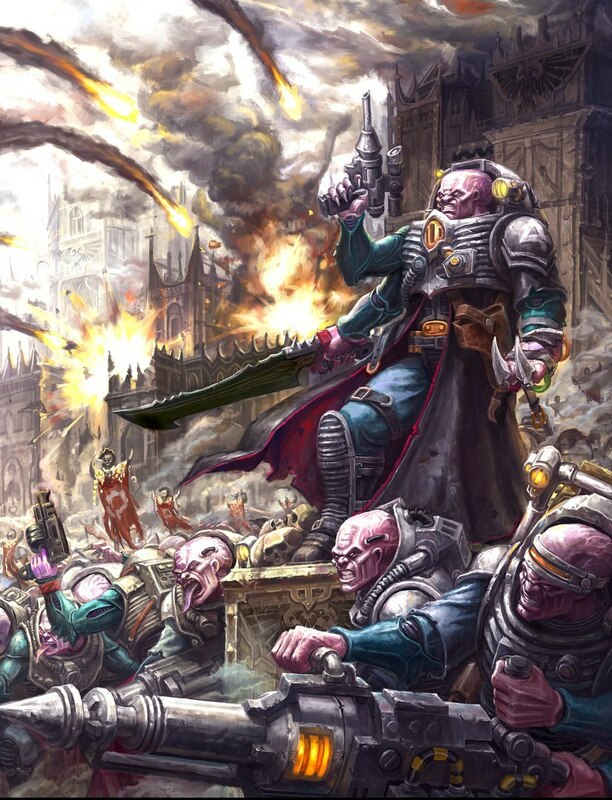 Genestealer Cults (GSC) are one of the last remaining index armies, and are due to receive their codex next. 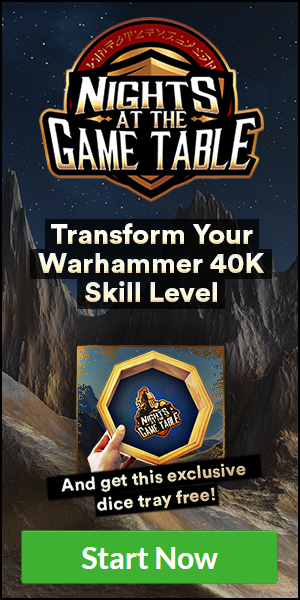 Despite this fact, they’re still a very potent force on the tabletop from a combination of the raw power of their ability to deepstrike directly next to you with some consistency and their ability to ally with both Astra Millitarum and Tyranids proper. When they get their codex treatment, they’re likely to become an extremely powerful army on the tabletop. With that being said, let’s look at the top 5 units in the codex, and why they find themselves on the list. Yes, this is definitely cheating. However, GSC have a plethora of strong HQ choices that are worth including, and they would easily occupy at least half the list on their own. GSC have a total of 5 HQ’s, and each of them pull their own weight and then some. At the bottom of the pack is the Acolyte Iconward. He’s dirt cheap, and he broadcasts a 6” aura to shrug off damage on 6+, and the ability to re-roll failed Morale Tests as well. Although these are a powerful set of abilities, he also has access to the army’s only relic that they currently have available, which lets his banner also broadcast a 6” aura of +1 Strength. That significantly improves the math for all of your units in a variety of situations, making the Iconward a great support piece. 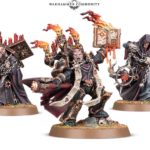 Next, we have the two Psyker’s, the Patriarch and the Magus. The Magus clocks in at our number 4 position, as he’s simply a cheap Psyker that provides extra psychic defense for your other units. Despite being relatively simple, he’s still worth watching out for primarily due to the insane power of the GSC psychic powers. Despite only having 3, they have one of the better Psychic Lores in the game. Might From Beyond is probably the best unit steroid in the game, Mass Hypnosis is top 3 best unit debuff’s in the game, and Mind Control lets you situationally abuse your opponent’s firesupport. However, this is all he brings which puts him a bit behind the Patriarch. The Patriarch has the same psychic potential as a Magus, but brings some reasonable close combat ability while also giving Purestrains +1 to hit, and making all units within 6” of him automatically pass Morale, which is very handy. At the top of the GSC HQ’s however, we find the Primus and the Abominant. The Aberrant is a cheap, anti-psyker beatstick that greatly improves the math on Aberrants, which are already a very powerful unit. He hits like a truck, since he’s swinging a D6 damage hammer that at minimum does 3, providing serious damage potential without sacrificing your averages. 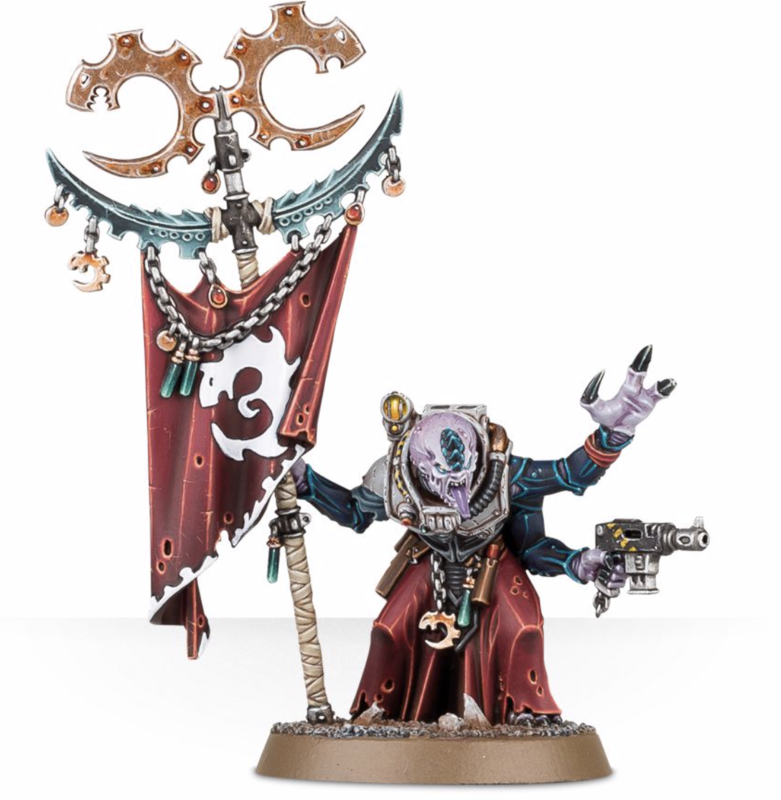 He also imposes penalty’s on enemy psychic tests, providing you with your own Shadow In The Warp. As a bonus, this penalty actually stacks with Shadow In The Warp if you find yourself allying with Tyranids. Last, but definitely not least is the Primus. The Primus simply makes the entire army tick. He improves your consistency with Cult Ambush, and if you use Meticulous Planning along with a Primus, the Primus also improves Meticulous Planning. This makes getting the desired result of a 5 or 6 on your Cult Ambush basically a guarantee. As if that wasn’t enough, he also provides a flat +1 to hit for all GSC units within 6”. Although this ability is only active during the Fight Phase, he’s still a significant damage and consistency steroid for your entire army. As you can see, all of the GSC HQ choices are actually highly playable. It would be very plausible to put 2-3 of them on a list of top 5, but that doesn’t leave room for other units to shine, and at the end of the day the HQ choices mostly just make the other units better, as opposed to being obscene on their own. 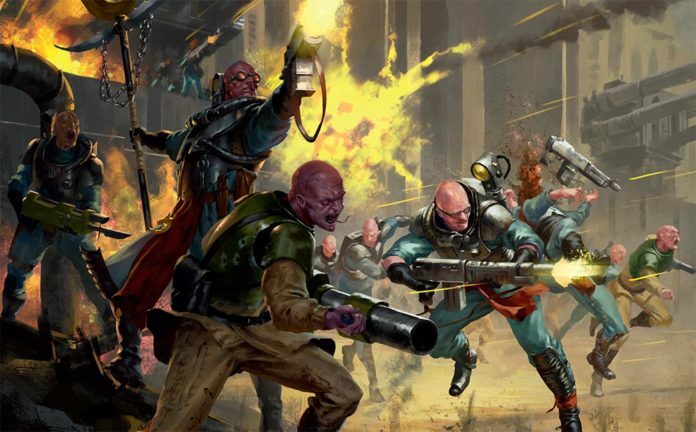 Neophytes are essentially Imperial Guardsmen, except they have Cult Ambush instead of Orders. 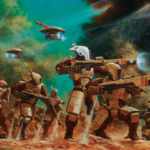 Despite clocking in at 5 points, Neophyte’s form an important backbone for a GSC army. They provide lots of deployments that you can put on the table to help secure objectives and enable more Cult Ambushes. They can also be cheaply upgraded to take a Heavy Weapon, which gives them some threat over a course of a game. Mortars provide cheap anti infantry at a reliable range, or you can invest a few extra points for a Missile Launcher or Lascannon. Thanks to the various support buffs available to GSC, your Neophyte’s can also be surprisingly effective in close combat. An Acolyte Iconward can turn your Neophytes into Tactical Marines on the attack, with a 6+ ability to shrug off damage to boot. 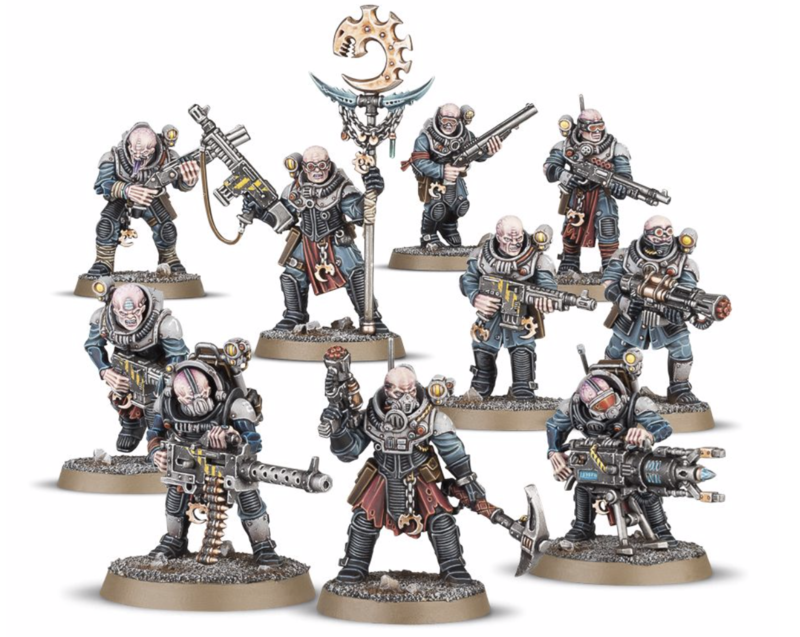 All in all, Neophyte’s are a core element to any dedicated GSC army, and they more than pull their weight. GSC don’t have access to too much in the way of fire support outside of Heavy Weapon Teams tucked in your Neophytes, and the Leman Russ. A Russ is actually a somewhat pricy investment, but this isn’t necessarily a bad thing in GSC. You want all of your big heavy hitters to be dropping onto the table through Cult Ambush, but you’re capped at half of your army being off the table, both in terms of deployments and points. 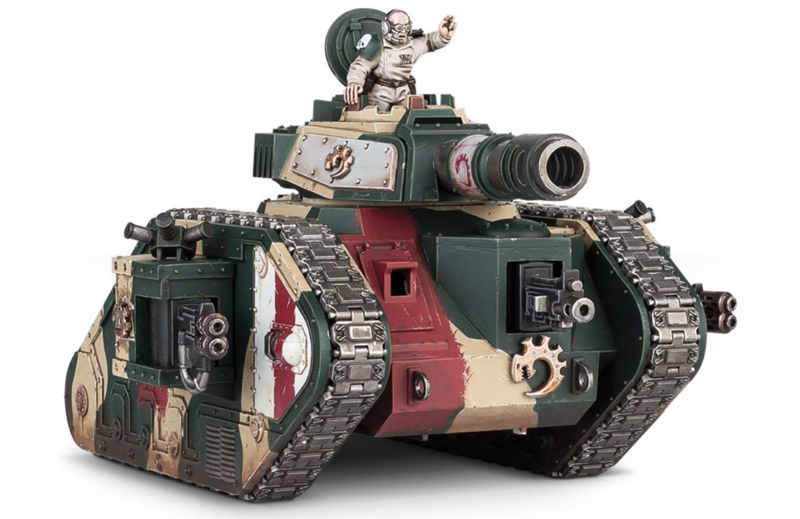 A Russ with a Battle Cannon and Heavy Bolter clocks in at 162 points, and can provide reliable long range fire support thanks to the massive 72” range, and the ability for the Russ to move slightly and still double fire without suffering any accuracy penalties. Although they aren’t liable to erase a large target in one salvo, you’re very liable to get many rounds of shooting off due to the long ranges. 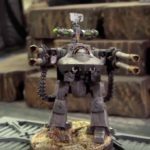 This means that over a course of a game, your Russ’s can actually provide some serious damage to the larger targets in your opponent’s army. These factors combine to give Russ’s a strong amount of synergy with a mono-GSC list, and a firm placement at number 3 on our list. 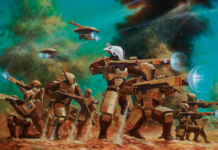 Purestrains have historically been the main bread and butter unit for GSC, as they have a variety of good mobility options coupled with a dizzying array of attacks. Fully powered and buffed, you can get Purestrains to an obscene 5, Strength 5, Weapon Skill 2+ attacks with ap-1, going up to ap-4 on a wound roll of 6+. Defensively, Purestrains are a tad poor, as they’re only a 1 wound model relying on a 5+ invulnerable save. They make up for this with a powerful set of mobility options. Not only can they Cult Ambush to make easy charges out of Reserves, but they can also Advance and Charge. This allows Purestrains to quickly move between targets, running the enemy down with ease. 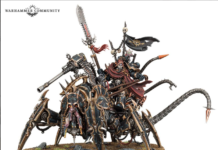 This also gives them an absurd threat range on a result of a 6 on Cult Ambush, as you get to move and advance while still being able to charge. 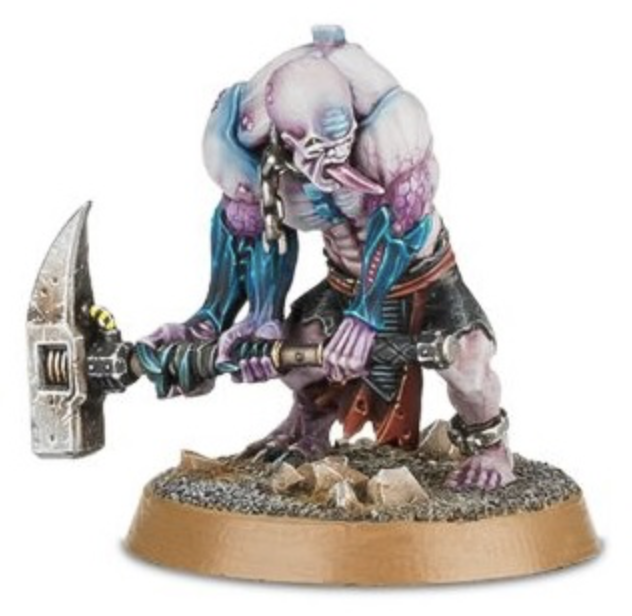 Purestrains are one of the main workhorse units for any GSC player, which easily slots them in at Number Two on our list. Aberrants were one of the weaker options in the GSC index at the beginning of 8th edition. However, they have received a variety of buffs, most recently with the Anointed Throng specialist detachment. These buffs have moved Aberrants to the most mathematically efficient unit in the index across the board, sans mobility. Offensively, they swing with Power Picks, which are effectively Power Axes that cause D3 damage. Although they only make 2 attacks, they also get to make an attack with their Rending Claws for every Power Pick Swing. With Might From Beyond and a nearby Iconward with the Relic Banner, you can get 3 S7 AP-2 Damage D3 attacks and 3 Rending Claw attacks. That’s a lot of offense for 27 points! Defensively, Aberrants are a pain to put down. At 2 wounds and a 5+ armor with an extra 5+ to shrug off Damage, they’re very resistant to small arms fire. They’re also reasonable resistant to multi-damage weapons, since they receive -1 damage from all sources. Even flat 3 damage weapons like a Thunder Hammer are fairly likely to only take one wound off, as the 3 drops to a 2 and you stand a decent chance to pass one of your feel no pain rolls. 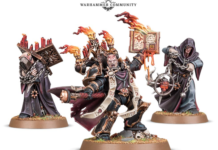 What really pushes these guys over the edge however is the new releases of the Abominant and the Anointed Throng detachment. The Abominant provides extra hits on natural rolls of a 6, which means the Aberrants have a 100% hit rate on average with a nearby Primus. If they make 6 attacks, on average they’ll get 5 hits and a miss, and one hit will become two, turning into a total of 6 hits from 6 attacks. Next we can tack on the Anointed Throng, and we get access to a Stratagem that lets you fight on death, even if the Aberrants have already fought, a Stratagem that lets you re-roll 1’s to wound, and finally a Warlord Trait for +1 to charge ranges for added consistency. 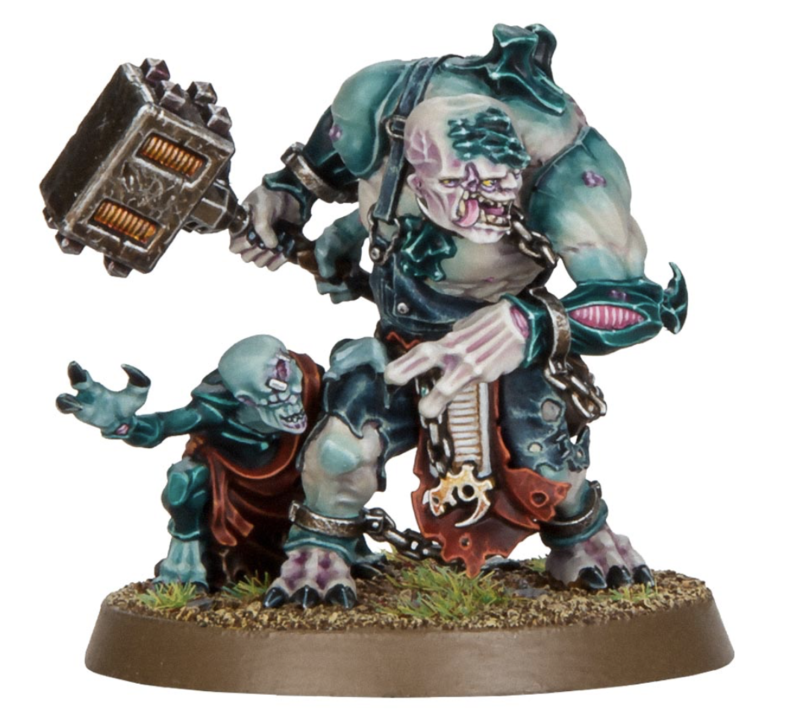 Although they are pricier than Purestrains and not as mobile, you can expect Aberrants to be a mainstay competitive unit that almost every GSC player will want to have. That wraps us up! 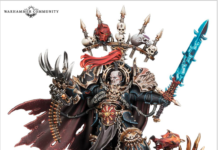 Obviously the new Codex will shake things up with new Stratagems, Relics, Units, and maybe even a Trait. But at the moment, this is what makes GSC tick. 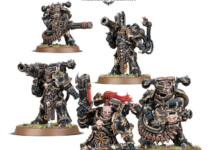 What are you most looking forward to with the GSC codex? Let us know in the comments! 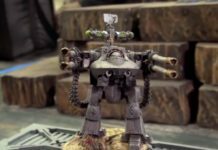 Previous articleWarhammer Tactics: What Time Is It?